Belarus is the only country in Europe that continues to carry out the death penalty. The process is shrouded in secrecy. Not even families are necessarily informed about the time of execution or the place of burial. While they are not permitted to attend executions or to visit prisoners on death row, there are journalists who are committed to piecing together what happens behind closed doors. Adaria Gushtyn – the winner of the Russian language category in PRI’s first competition for investigative journalism on the death penalty – is one such journalist. Her three winning submissions highlight some key concerns about the use of the death penalty in Belarus and elsewhere, particularly the high risk of carrying out an irreversible penalty in judicial systems where the integrity and competency of police and judicial procedures are open to question. First published in January 2014, this article reports on the case of Mikhail Gladkii, who is seeking compensation for 8 years in prison for a murder he did not commit and has since been exonerated for. The real perpetrator, Eduard Lykov, has now been convicted and sentenced to death. In this article published in April 2014, Adaria Gushtyn follows up on the case of Eduard Lykov, who is seeking commutation of the multiple death sentences he received. The piece also highlights further alleged incompetency in the police investigation which led to the wrongful conviction of Mikhail Gladkii as well as allegations of mistreatment during interrogation. 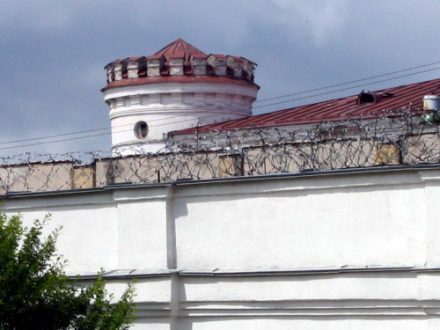 First published in April 2014, this article reports on the latest rejection of an appeal of 26-year-old Alexsandr Grunov, to have his death sentence commuted. The Arabic language category was won by Omar Maharmeh who examines why Jordan – which has had a suspension on executions for many years – has yet to abolish the death penalty for good; and the English language category by Nancy Mullane for two podcasts for US radio magazine, Life of the Law, which provide compelling and unusual insights into life in California’s prisons.